In order to create your personalised print please complete the following form below. The category titles are purely set up as a guide to help you and alternatives can easily be inserted as suitable replacements. If you would prefer to download and complete a word document, we are happy to accept orders in this way. 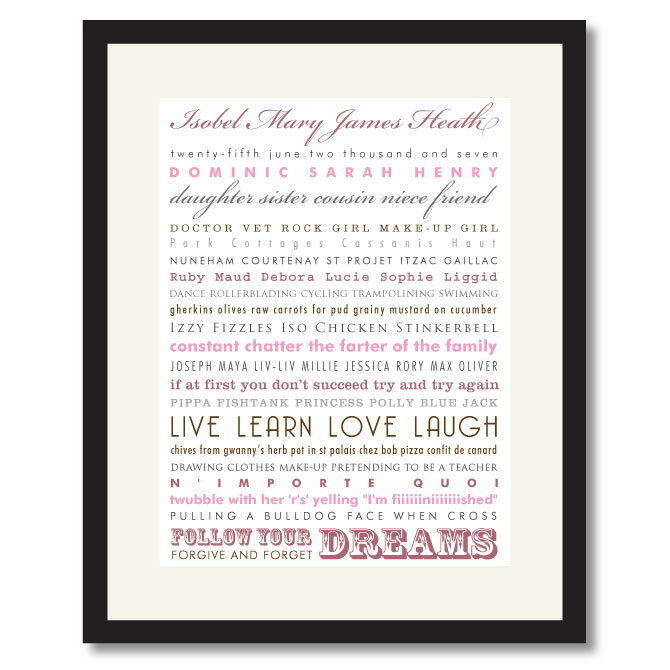 Bespoke framed prints – give loved ones a unique personalised framed print of special memories.